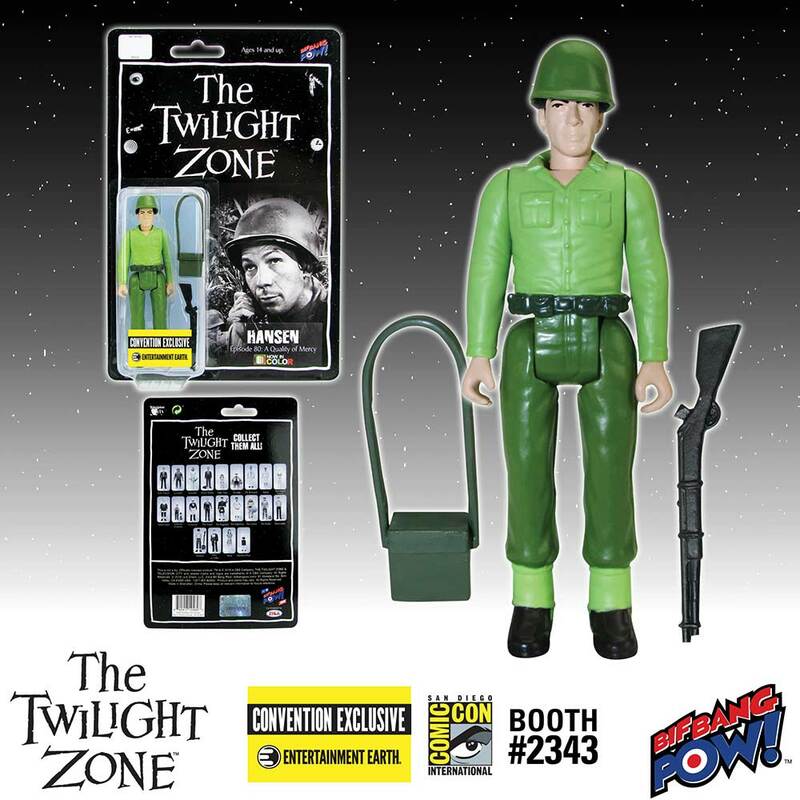 @BifBangPow: Enter The Twilight Zone with New Convention Exclusive Action Figures! 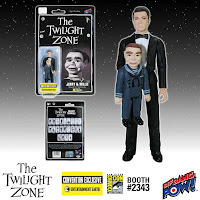 Enter The Twilight Zone with New Convention Exclusive Action Figures! As perennial San Diego Comic-Con fan favorites, Bif Bang Pow! has collaborated with Entertainment Earth to bring you the next series of convention exclusive 3 ¾-inch color action figures inspired by The Twilight Zone™ - introducing series 4! 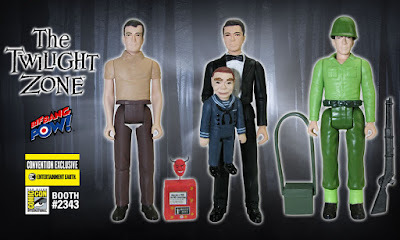 Designed similar to the action figures released in the '70s, each retro-styled color figure features 5 points of articulation (neck, shoulders, and hips) and showcases a classic character with episode-specific accessories. Each convention exclusive action figure is a limited edition of only 672 pieces - with each piece in the run individually numbered on a holographic sticker. 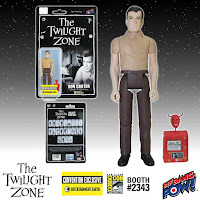 The Twilight Zone Don Carter 3 3/4-Inch Action Figure In Color - Convention Exclusive celebrates The Twilight Zone episode "Nick of Time" - featuring William Shatner as Don Carter. This unique figure comes complete with a miniature Mystic Seer inspired by the same fortune-telling machine shown inside the famous Busy Bee Cafe. 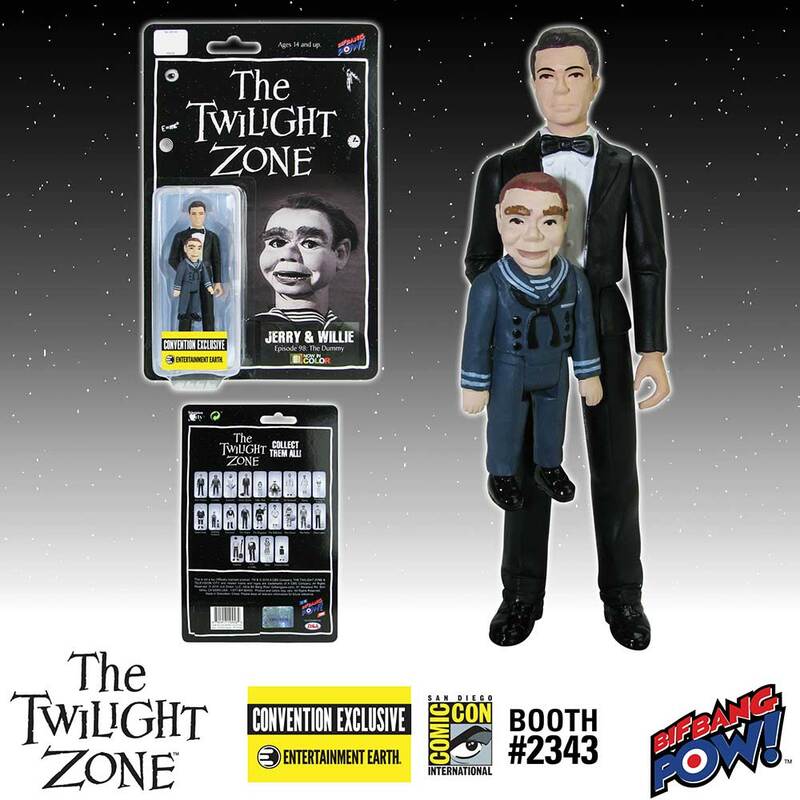 The Twilight Zone Jerry and Willie 3 3/4-Inch Action Figure In Color - Convention Exclusive pays homage to The Twilight Zone episode "The Dummy". This rare figure of the persecuted ventriloquist appropriately comes with his deranged dummy - which also includes 5 points of articulation. But that's not all… Willie also features a hand slot in the back, so you can pose Jerry and Willie together! 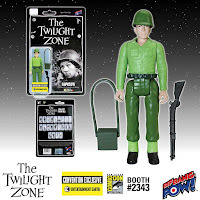 The Twilight Zone Hansen 3 3/4-Inch Action Figure In Color - Convention Exclusive salutes The Twilight Zone episode "A Quality of Mercy" - featuring Leonard Nimoy as Hansen, the radio operator. This exclusive show-inspired figure of the World War II character comes complete with his battlefield accessories: removable helmet, rifle, and field radio that opens to reveal a pull-out phone. 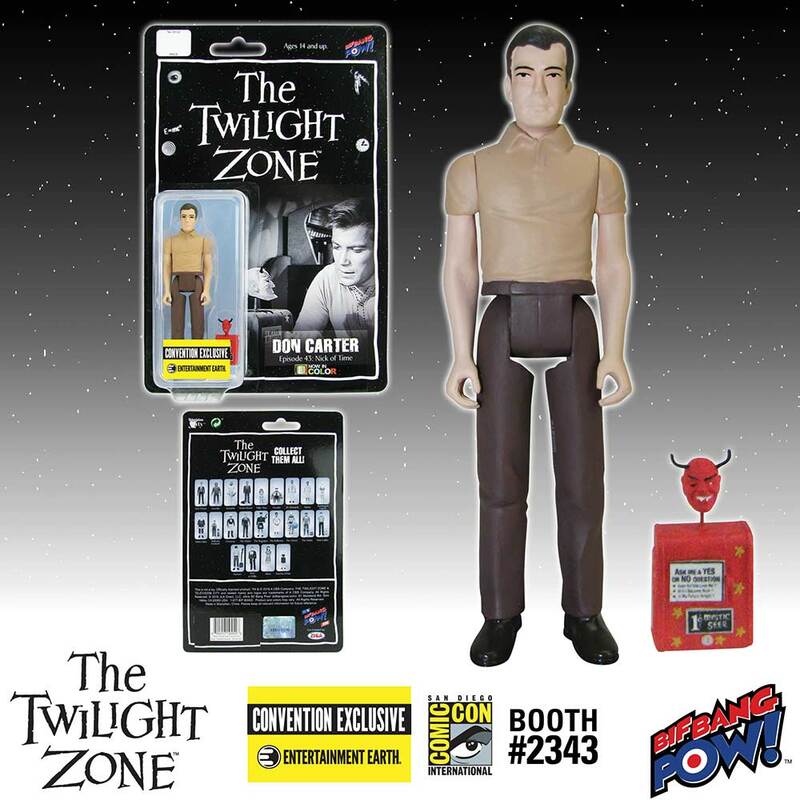 Available for the first time on July 20, 2016 at the Entertainment Earth booth #2343 at San Diego Comic-Con, fans attending the show will have the earliest opportunity to score these individually numbered and limited edition exclusives!